I have recently been watching Troy: Fall of a City, the BBC series showing on Saturday evenings, based on Homer’s Iliad It has had mixed reviews and after a couple of episodes I nearly gave up, for the usual BBC problem of lack of light and lack of audible speech. By the time everyone emerged into daylight, I was at a loss as to who was who. I had to search my memory for the main characters, others were lost to me for the rest of the series – yes, I stuck it out. I think my love of Ancient Greece comes from reading the books of Mary Renault – including The King must Die and The Bull from the Sea. 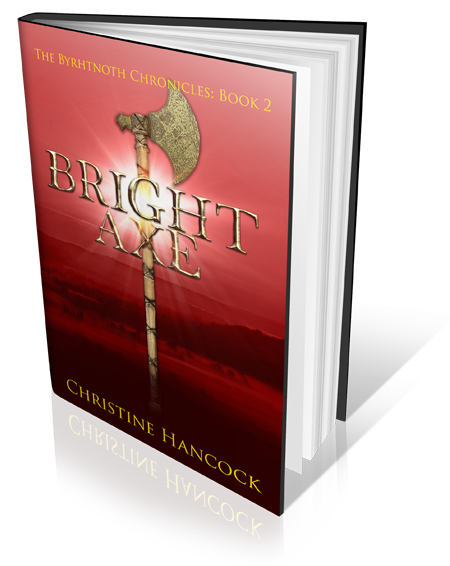 For a long time it was my subject of choice – too many books to remember now, and probably many more than those set in the Anglo-Saxon period! I preferred The Odyssey to The Iliad. I think you do when you’re young, all those adventures with monsters and magic, and a happy ending. The Iliad was more complicated, with its theme of men killing each other for honour and revenge. I could never remember who killed who and in what order. If I was to understand the series, I needed help. Did I have anything on my Kindle that was relevant. I must admit I buy books on special offer that I think I might read when I’m in the mood. The first I found was The Penelopiad by Margaret Atwood, which I see I purchased in December 2017. (Not that long ago, I must have bought it after watching The Handmaid’s Tale.) This was part of a series retelling of Greek myths. 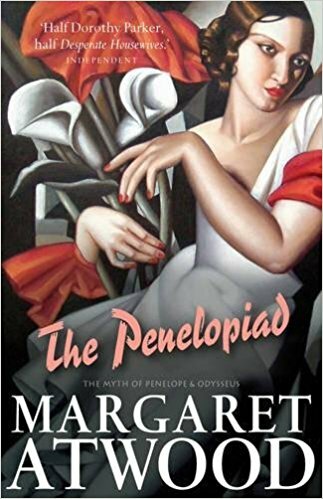 Penelope was the wife of Odysseus, who waited 20 years for her husband to return. In this version of the story Odysseus doesn’t come out well. Was he bewitched by beautiful goddesses or just delayed in a bar somewhere, and does it really matter? Penelope is still in Hades, a very boring place, where she meets people she used to know – Helen is still surrounded by admiring men. Penelope tells her story from her own point of view. She is interrupted by a chorus; the twelve maids killed on the return of Odysseus commentate on the story and on their hard lives. This is in the form of verse in different narrative styles. The book is clever, entertaining and thought provoking. 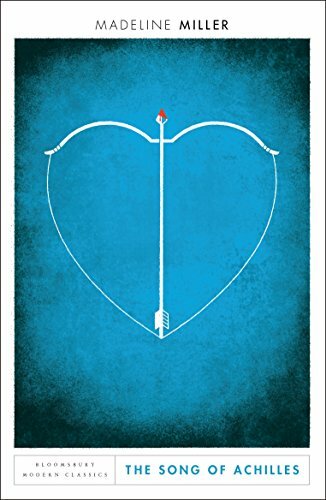 The second book I read was The Song of Achilles by Madeline Miller (Purchased in 2015). This is the story of Achilles, told by Patroclus, his friend. Patroclus the son of a minor king, admits that he has nothing in his favour. He is not good looking, he has no talent for sport or fighting, and he is not too bright. He is ignored and despised. When he accidentally kills anther boy, he is exiled, to the court of King Peleus. He joins a group of boys, united in their admiration of the king’s son, Achilles. Achilles is everything Patroclus is not; handsome, talented at everything. His mother is a sea nymph, Thetis and he is destined to become a mythical hero. He spends much time alone, he fights alone because no one can compare to him. It is an interesting portrait. Achilles knows he is the best, it is a fact and he has no need to boast of it. He could be unlikable, but he is so innocent, everyone loves him. One day he notices Patroclus and makes him his only companion, to the disgust of everyone. They grow up together, study in the mountains with Chiron. (There is a beautiful description of the fear of meeting a centaur for the first time.) They fall in love. When the call to Troy comes, Achilles refuses to go, but his mother insists this is the only way for him to become immortal. She hates Patroclus, suspicious his love tarnishes the glory of her son. Achilles sets sail for Troy and Patroclus with him. In this version, Achilles is the only Greek with fair hair, an interesting twist in the controversial casting of Achilles in the TV version. There was one thing that worried me as I got further into the book. It is written in the first person in the voice of Patroclus. He is the perfect narrator, always there but never noticed. How would the author cope with his death which, of course comes before that of Achilles? She succeeds, wonderfully, in an imaginative and emotional way. I am glad that the showing of the not entirely successful television series, drove me to reading these amazing books. The second explained something that I had never understood before; why Achilles behaved the way he did and how magnificent it was. I also realised how similar the Anglo-Saxon period was to Ancient Greece. The sense of the gods and how they controlled a man’s life. The hierarchy of gods and men and how you must obey your superior, in all things. Finally the strength of a man’s oath, and the dishonour he must experience if he breaks it.